Learning new words is an important skill for all toddlers and learning God’s word is an essential skill for all Christians. 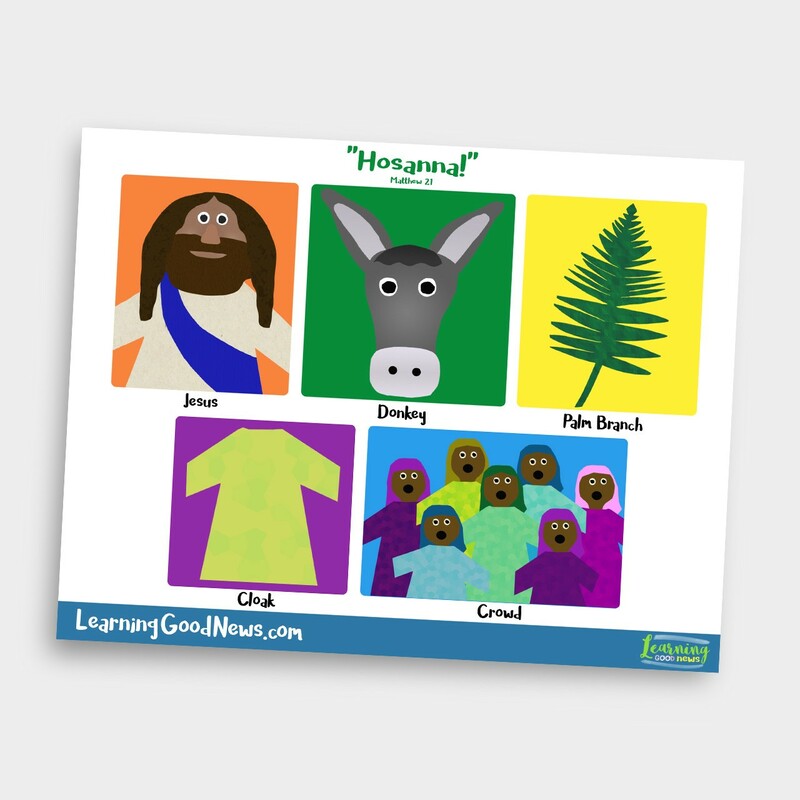 Let’s combine the two and help expand your child’s vocabulary while introducing words from the Hosanna story. Learning new words is an important skill for all toddlers and learning God’s word is an essential skill for all Christians. Let’s combine the two and help expand your child’s vocabulary while introducing words from scripture. Today you can go over the “Words in the Word” worksheet with your toddler, using words from the Bible passage. I hope you find this worksheet helpful whether your child is just starting to say a few recognizable words, or if they are beginning to talk in full sentences. Even if your child is not yet able to say any of the words on the sheet, they may be able to understand far more than you realize. In young children, receptive language (the ability to understand words) develops more quickly than expressive language (the ability to communicate, both verbally and non-verbally). Start by pointing to each word and saying them to your child, then use the suggestions below to help your child learn these words, using the strategies that are most appropriate for their developmental level. Point to the words, directing your child’s attention to each picture, and say the words out loud. Say “Where is the _______?” and have your child point to the pictures.